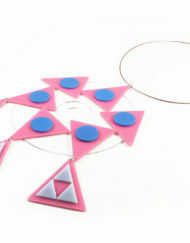 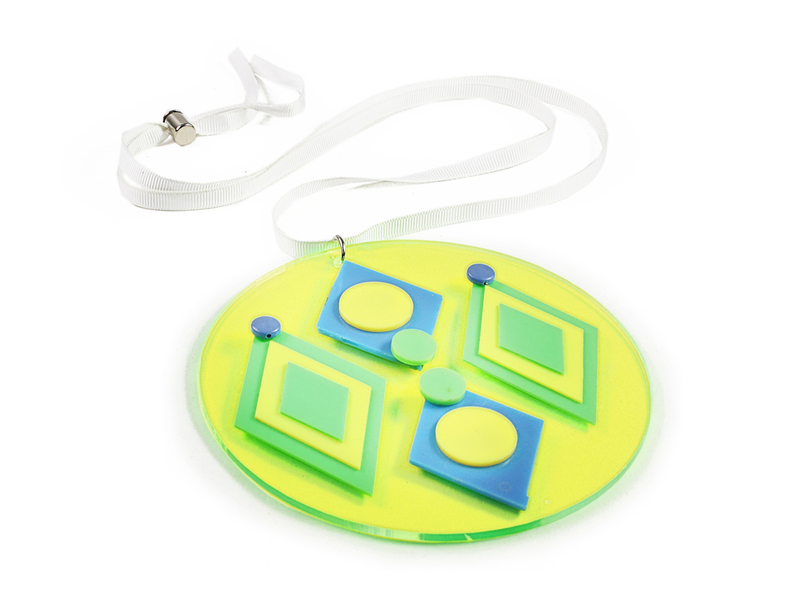 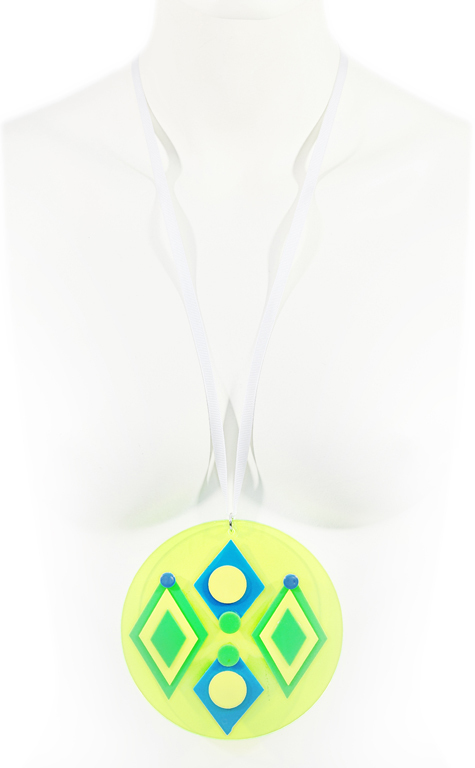 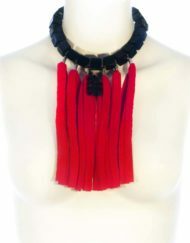 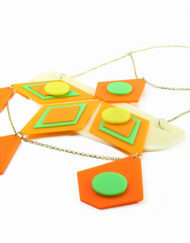 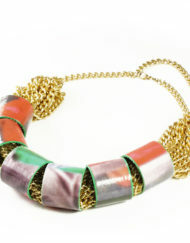 Necklace created from a colorful splash of original 80’s upcycled plastic materials. 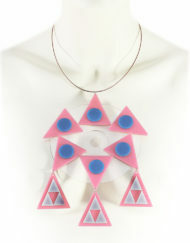 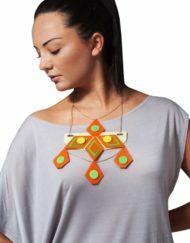 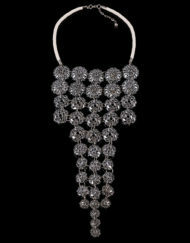 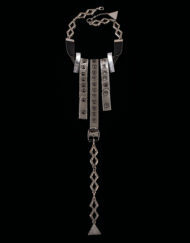 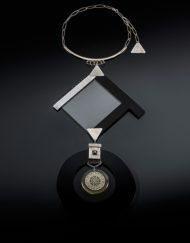 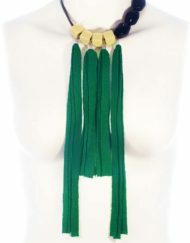 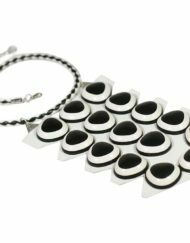 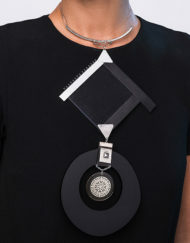 Vintage Fusion is a collection featuring a series of one-off design statement necklaces. 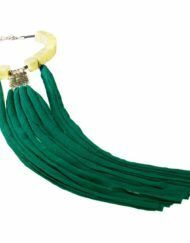 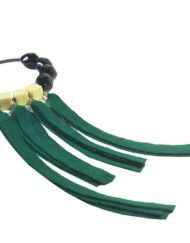 A colorful fusion of original 80’s and contemporary upcycled plastic materials, led to the creation of these fashion forward jewellery.